Delhi’s love for food is insatiable and the city folks who’re always on the lookout for fresh produce and ingredients have a diverse range of food markets to choose from. 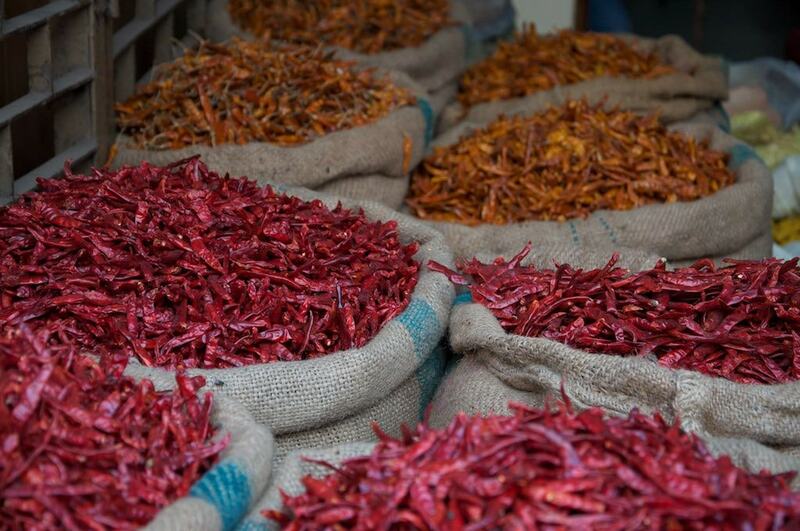 From Asia’s largest spice market in Khari Baoli in Chandni Chowk to a modest farmer’s market and an organic livestock farm, the choices are many and varied. Here are some fantastic food markets to explore in Delhi to satisfy all gastronomic needs. 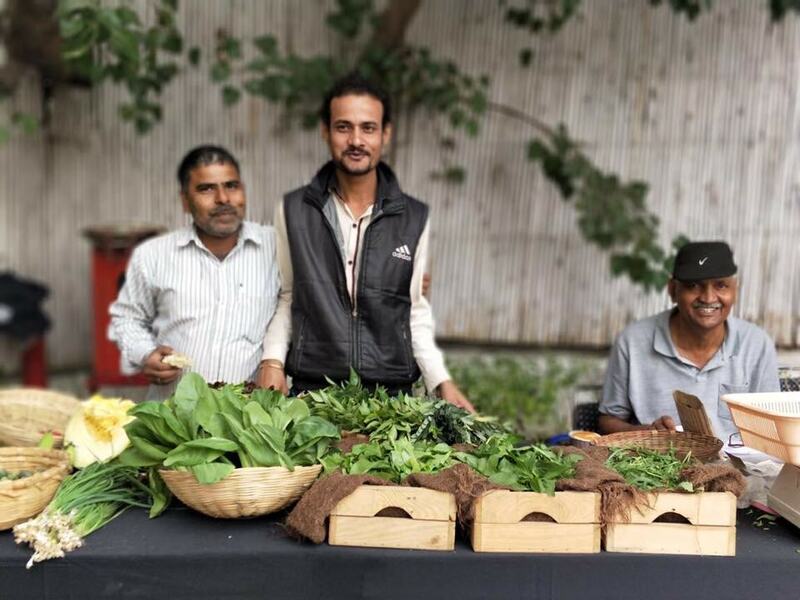 Every Sunday for three hours from 9am till noon, the Delhi Organic Farmers’ Market sets up shop at The Park Hotel in New Delhi. The weekly market is humble in appearance but the organic products on sale are the best you can get in the city. The market has small counters manned by very knowledgable vendors, who are more than happy to answer all your queries about organic produce. You can also buy herb saplings, delicious pickles and honey all at surprisingly affordable prices. If you’re lucky, some days you might come across artisans who’ll teach you a thing or two about traditional Indian craftsmanship like working a handloom. The Indian National Army Market or INA Market as it is commonly known is the most popular food bazaar in Delhi. The market is small and compact, with narrow lanes but everything that you need in your kitchen, you will find it here. There’s fresh meat and seafood, imported grocery items, fruits and vegetables of all kinds, spices, liquor, home supplies and more. 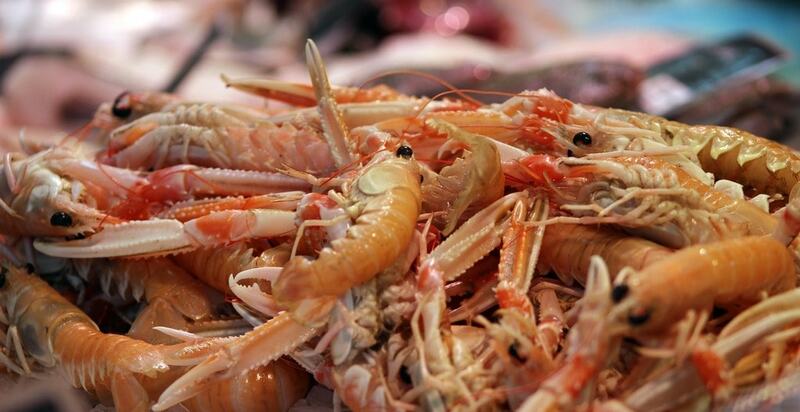 The seafood here, from crabs to clams and shrimp, are the very best in Delhi. INA Market is where a host of diplomats and expats are known to do their weekly grocery shopping. Mostly because it houses a whole lot of imported goods that they’d find back home. Before or after the food shopping, you can also head to Dilli Haat, just on the other side of the road, for traditional handicraft products and regional food stalls. Khari Baoli in Chandni Chowk is mostly famous as Asia’s largest wholesale spice market, but is also a good place to shop for groceries at wholesale prices. The place used to be a stepwell during the Mughal times and is over 400-years-old. While the stepwell is long gone, the market today trades in exotic spices, nuts from countries like Afghanistan, tea, rice and other food products. Katara Tambaku, a wholesale market for herbs, is close by if you want to pick up some fresh and assorted herbs. Make sure to visit Fatehpuri Mosque and the Red Fort when you’re at Khari Baoli. French Farm was started by Roger Langbour, a French Air Force officer who was posted at the French Embassy in Delhi. While Langbour loved the capital, he couldn’t say the same for the quality of meat in the city. This is why he decided to open an organic farm of his own and simply named it French Farm. The former military man’s farm has some rare livestocks, which are not easily found in Delhi. This includes quail, pheasants, turkey, Muscovy and Peking ducks. French Farm also grows organic vegetables and herbs. You can either visit the place or order over phone. Foodhall is an upscale food retail chain and one of its kind in Delhi. A kilogram of tomatoes from Europe here might set you back by Rs. 2,500 (£30) but patrons feel it’s worth paying the price for as Foodhall, which launched its first store in Mumbai in 2011, continues to grow in leaps and bounds. Their imported selection of fruits and varieties of cheeses are some of the very best. Also check out their tea section which has a premium collection of over 65 teas. If you’re looking for cooking inspiration Foodhall’s website has some great recipes you could try. There are two mega stores in Delhi and two smaller ones in Aerocity and Gurugram. The affluent neighbourhood of Chittaranjan Park in South Delhi is home to a bustling Bengali community and Bengalis are known for their love of fish. It is no wonder then that the best fish market in the capital should be located at Chittaranjan Park. In fact, the neighbourhood has three different fish markets catering to its residents. Find the best stock of fish varieties including pomfret, surmai, hilsa, prawns, catfish, scallops and more. The market is open from 10 am to 10 pm. Ghazipur wholesale fish market is another popular spot to shop for fresh seafood.